Check out all of our classes below to find the perfect one for you! (Ages 14+) See our schedule page for pricing! This 1.5 hour class is designed for our adults ready to take on all of the obstacles the gym has to offer! After a brief warm-up, you will be free to conquer any and all of the obstacles at your pace and as you choose! Our coaches will be available at all times to assist, give tips, and help with any questions you may have! *If it is your first visit, you will be assisted by a coach to learn about and how to safely conquer each obstacle. Our OCR Fit is designed with the obstacle course racer in mind (Spartan, Tough Mudder, The Gauntlet, Etc). Centered around the endurance and strength needed to carry you for miles, this class will help prepare you to race the toughest of OCRs. You'll follow a trainer along an obstacle course (created weekly so you'll never get bored!) throughout the gym and outside. 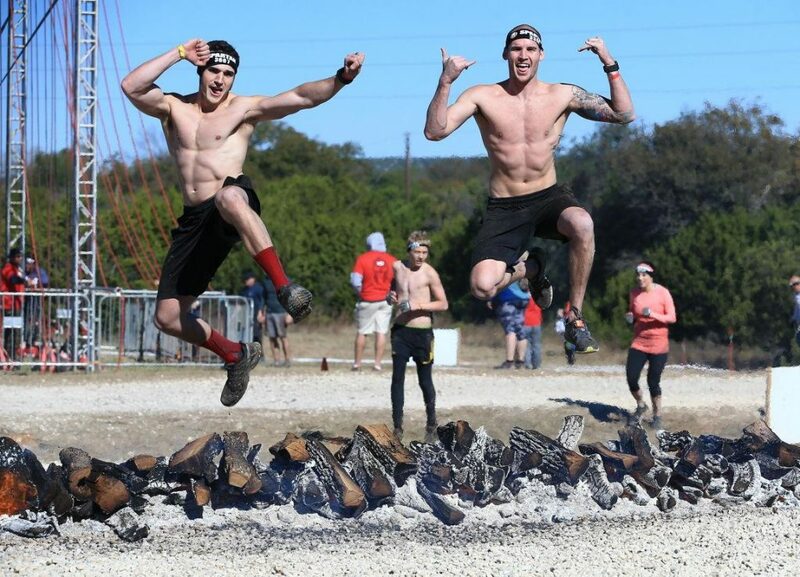 Our trainers will focus specifically on obstacles that appear in these well known races and techniques to help you build the strength to tackle those obstacles. You can plan to be moving for the duration of the class, working on speed, agility, strength, and technique. You may be exhausted, but you'll leave wanting more! Via Yogapedia: Aerial yoga is a type of yoga that uses a hammock or yoga swing to allow students to perform postures that they may not ordinarily be able to attempt on the yoga mat. It combines traditional yoga with moves inspired by pilates, dance, and acrobatics. It is suggested that in addition to the emotional, physical, and spiritual benefits of all yoga practice, Aerial yoga has particular benefits for strengthening and stretching the whole body, decompressing the spine, improving circulation, boosting digestion and lifting one's mood. In particular, Aerial yoga strengthens the core as well as the arms and legs, to support the body in mid-air. We have a few different styles of Aerial Yoga at Flip Side for just about everyone! On Mondays at 10 am, we have our beginner LOW | SLOW | FLOW | class that is designed for beginners and an easy aerial class that is focused on relaxation and less strenuous stretches than our other classes. There is no inversion in this class. 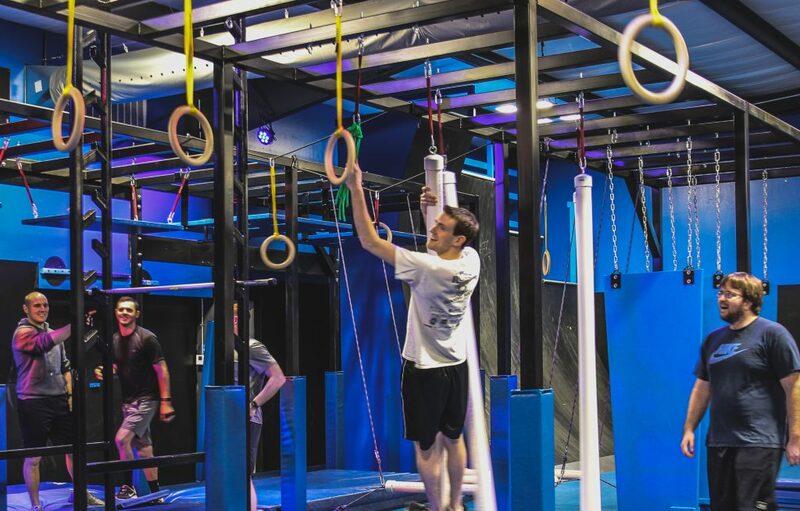 On Wednesdays we have our Intermediate Flips & Tricks class that is for those students ready to work up a sweat, strengthen their grip, core, and upper body, and spend a lot of time inverted. It's an upbeat class designed to push you to new limits! On Fridays at 1 pm, we have our Intermediate Stretch & Strengthen class that is for those wishing to strengthen their core, grip, and learn more advanced movements. On Sundays we have our Beginner Relax & Restore class for all skill levels. This class is designed to be a "reset button" for your week. Set to quiet music and dim lights, our Relax and Restore class focuses on slow stretching, core strengthening, elongating the spine, and clearing your mind. Both classes are for students ages 12+. We urge you to step out of your comfort zone and give this class a try -- you will not regret it! 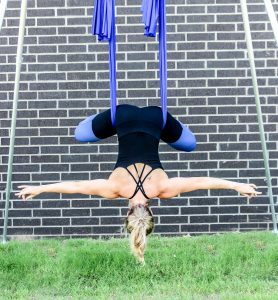 *Although Aerial yoga can be performed by people with all levels of fitness, it is not recommended for pregnant women or those who suffer from vertigo, due to the flips and inversions practiced during the class. 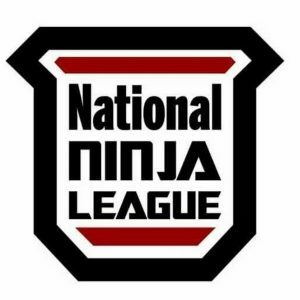 The Flip Side Ninja staff will select the best of the best of our ninjas to be on our competitive team where we'll travel to nearby ninja competitions held by the National Ninja League or Ultimate Ninja Athlete Association. The Ninja Team classes will be a mix of adult team members and junior team members designed to push our ninja's skill levels to the edge for the maximum competitive edge.